A REALLY CLEAN AND WELL MAINTAINED 2011 FORD F250 XL EXT CAB 4X4 WORK TRUCK. TRUCK IS A ONE OWNER WITH A CLEAN CARFAX AND MANY SERVICE RECORDS. OPTIONS INCLUDE - CATTLEMAN FULL BRUSH GAURD WITH A WARN M12000 WINCH INCLUDED-CATTLEMAN RUNNING BOARDS - FULL WEATHER GAURD TOOL BOX MANAGEMENT SYSTEM IN BED - WHISTLER 3000 WATT POWER INVERTER AND MUCH MORE. 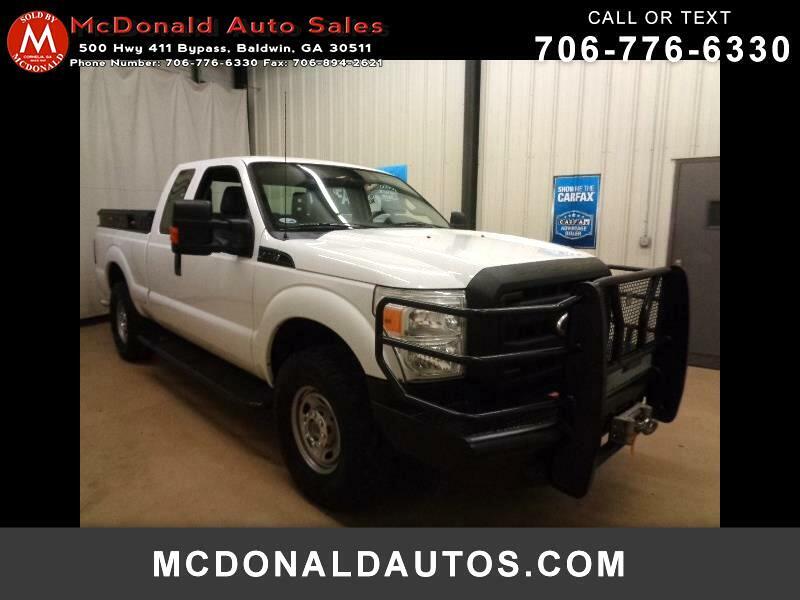 IF YOU ARE LOOKING FOR A GOOD CLEAN WORK TRUCK THEN COME SEE IT TODAY AT MCDONALD AUTO SALES IN BALDWIN GA OR CALL US AT 706-776-6330.